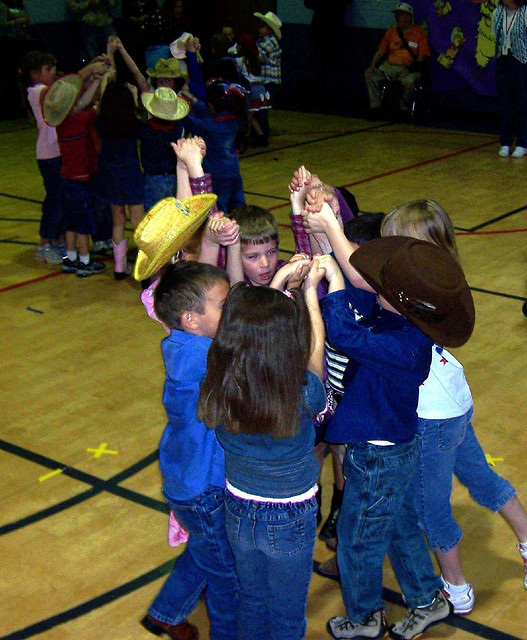 Kids love to square dance! Photo by Glenda Simms on Flickr (noncommercial use permitted with attribution / share alike). Twenty-two states have passed legislation to declare the square dance as a state symbol, and more than 30 bills have been introduced at the federal level proposing the square dance as the national (folk) dance of the United States (beginning in 1965). Every region has folk customs - they give people a special sense of identity and belonging to a group. The square dance provided pioneers with recreation and social contact with neighbors - and is still doing that today!